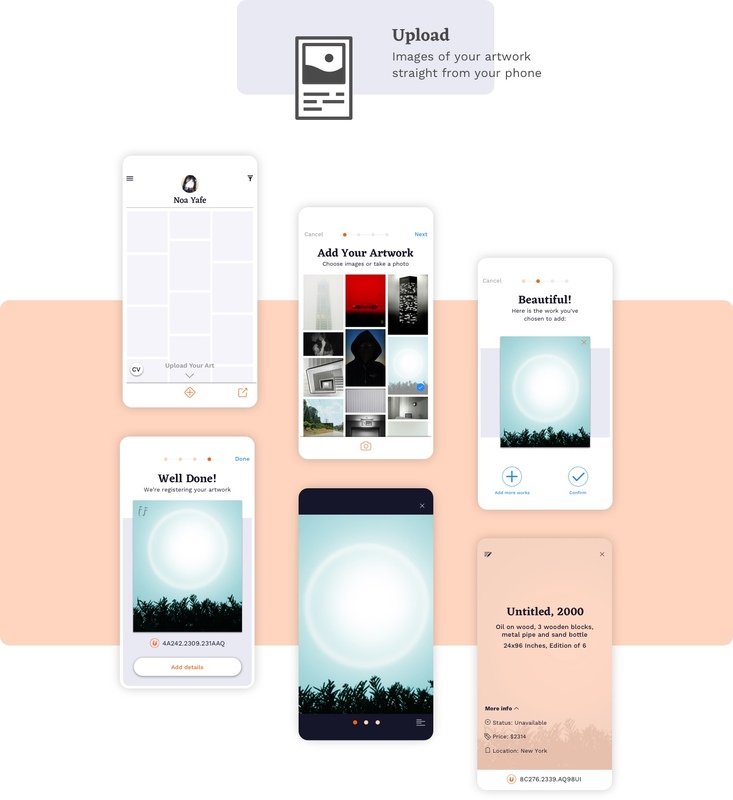 Marcel is a mobile platform that grants artists the tools to organize, keep track and promote their inventory of artwork. With Marcel artists have their portfolio accessible and up to date instantly, no matter where they are. 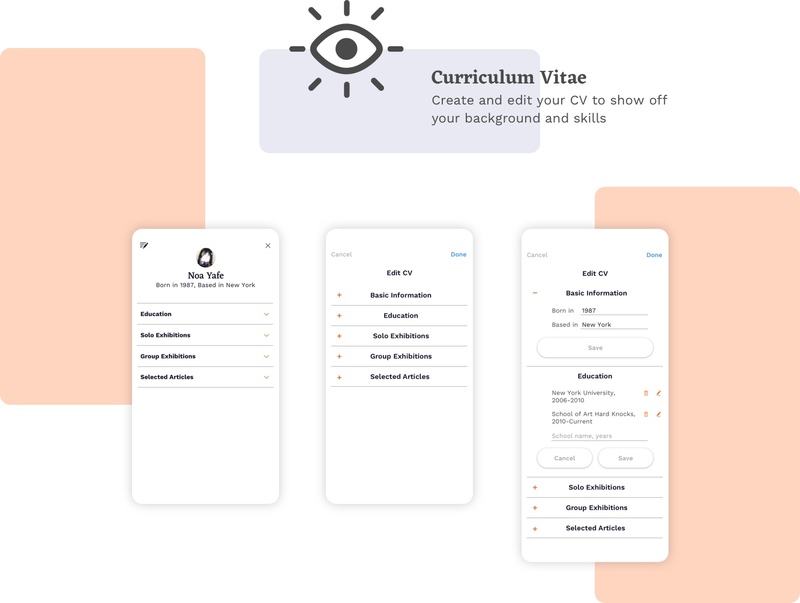 Our main task for Marcel was defining the core UI and UX concepts of the product, while keeping in mind future abilities and features that will be added into the app gradually. 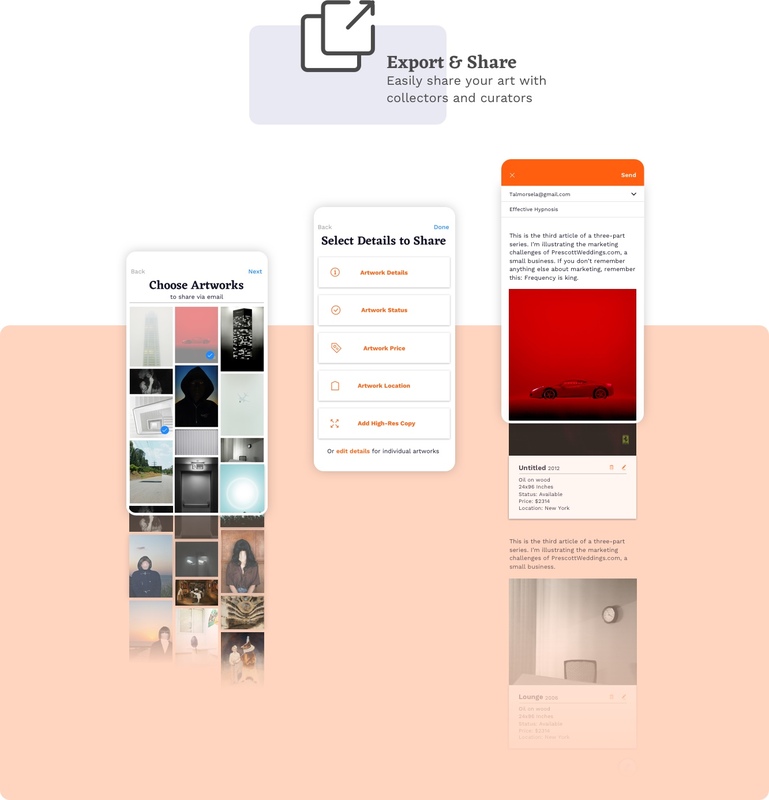 The design process was divided into 3 feature groups: creating the framework to manage and organize an art inventory; adding capabilities of sharing artworks via email, cloud and social media; providing a convenient layout to view images and videos.